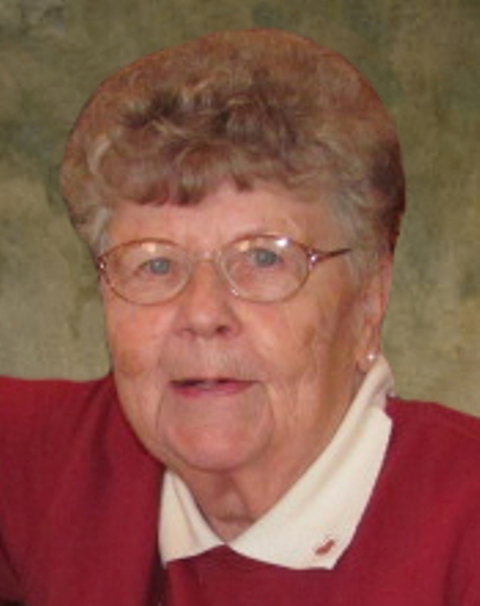 Evangeline Wagley passed away on Monday, September 17, 2018 at her home near Glenwood. She was 82 years old. 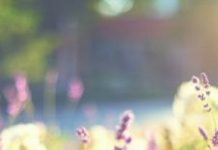 Funeral services for Evangeline “Vangy” Wagley of Glenwood, MN will be Friday, September 21, 2018 at 11:00 a.m. at Fron Lutheran Church in Starbuck, with Reverend Paul Johnson officiating. Visitation will be Thursday from 5 to 7 p.m. at the Starbuck Funeral Home in Starbuck and for one hour prior to services at the church on Friday. Burial will be held at a later date. Vangy grew up on a farm west of Slayton, MN. She attended school in town, and she was active in 4H, where she learned her bread and biscuit making skills earning her a Purple Ribbon at the MN State Fair and respect from all who ever tasted them. At age 13 the “city kids” invited the “country kids” to a picnic. It was at this picnic where she met the love of her life Roger Wagley, the feeling was mutual. She had a great love of music; where she sang in the Choir, played the piano, accordion, and played the baritone in the Band. After high school Vangy began her studies as a Medical Technician in Sioux Falls, SD. She later transferred to the Medical Institute in Minneapolis where she furthered her degree to include X-ray technician. In 1954 Vangy accepted Roger’s marriage proposal and they exchanged vows on April 3rd 1955. Soon after the wedding Roger enlisted in the US Army and was stationed in Ft. Lee Virginia. Vangy worked in a Dr.’s office and Roger worked on base. During this time they enjoyed traveling up and down the East coast and created some wonderful memories and lifelong friends. Minnesota was where their hearts were, so they moved to Tracy where Vangy put her accounting and math skills to work at Boerner Ford. 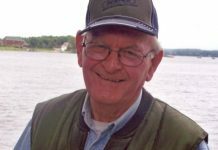 Roger, always interested in farming and agriculture began working for MN Valley Breeders. They truly felt at “home” living only 20 minutes away from family, which allowed them to spend more time together. 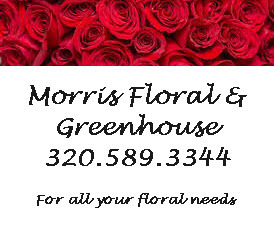 In 1965 Roger took a position as a salesman with Moorman’s Feed in Starbuck, MN where a new adventure began. Vangy started working for the Minnewaska Hospital as the head Lab and x-ray technician. In Starbuck, the two joined Fron Lutheran Church, met many new friends, enjoyed putting down roots, entertaining, dancing the night away and traveling. They had two children that they loved unconditionally, Scott and Kris. Vangy was a dedicated wife, a wonderful mother and friend – there was nothing she wouldn’t do for her family. Vangy’s greatest mission in life was to love. I LOVE YOU was said every morning, at the end of every phone call and every night before bed; it was written All My or All Our Love on every card until she invented AOL – All Our Love. In the fall of 1978 Roger accepted a position in KC and he and Vangy moved there with the kids. Vangy excelled in her medical career at Olathe Community Hospital where she worked for a pathologist and continued her lab work while adding dictation to her skills. This new life was exciting, rewarding, life giving and on occasion challenging, due to the distance to family and friends back in MN. In 1982 the family sold their home in Olathe, KS and moved back into their family home in MN, which they had preserved for their eventual return. 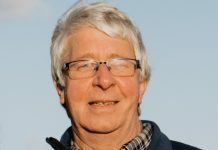 Once, back in MN Vangy joined Roger in creating American Feeds. This was an extremely busy time for them. There were the marriages of both kids, the purchase of a farm, grandkids, more grandkids and love abounding. Vangy enjoyed sewing clothes for the kids, taking the kids for weeks at a time, working in the family business and finding ways to engage these new little people; showing them what it was like to be loved by Grandma Vangy. Everyone was treated equally. If something was bought for one, it was bought for all. She loved talking to her family weekly, often daily to the kids and grandkids. She looked forward to every holiday, birthday, anniversary and every other reason to get together. The food she prepared was fit for Royalty, the quantity was enough to feed a small village and the house was always decorated for the occasion. Last but not least, let’s talk for a moment about the sacrament of marriage ”for better for worse, for richer or poorer, in sickness and in health till death do us part” Roger and Vangy lived this commitment before God for 63 blessed years. The dedication and focus that this “the greatest generation” has for each other, and for their families that include: sons, daughters, nieces, nephews, cousins, neighbors and friends is remarkable. For many years we were blessed with the best of everything, Vangy only knew one way to do it, give it her all! The very best she could give and the very best money could buy. She never skimped on anything, her style was as beautiful and as large as the life she lived. May God bless her sweet soul and may her legacy live on through every person she ever met and loved. 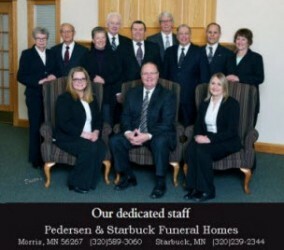 She is survived by her husband: Roger of Glenwood; son: Scott Wagley of Prior Lake; daughter: Kris Wagley of Glenwood; Twelve grandchildren: Brooke (Mike) Bergeron of Sartell, Chad (Kally) Wagley of Prior Lake, Amber (Andy) Pojonowski of Prescott, WI, Cory (Jen) Knoblauch of Glenwood, Justin Wagley of Langlois, OR, Josh (Maggie) Wagley of Duluth, Leslie Knoblauch of Glenwood, Kenna (Garrett) Wagley of Prior Lake, Arizona Shelton of Houston, TX, Royal (Zach) Shelton of Glenwood, Hunter Shelton of Glenwood and Bo Shelton of Glenwood; ten great-grandchildren: Michaela Bergeron, Peyton Bergeron, Gemma Wagley, Jaxen Wagley, Ashlynn Knoblauch, Avery Knoblauch, Grayson Bergeron, Clyde Pojonowski and Kaysen Knoblauch; brother: Duane (Donna) Gass of Maple Grove and many nieces and nephews. She was preceded in death by her parents; two brothers: Russel and Frank Gass and sister: Evelyn Gass.